Most people consider skydivers ‘adrenaline junkies.’ Yes, we definitely like to have fun, however, we bind ourselves to guidelines, a variety of rules and a few laws; so we can continue to progress our skills, have fun, but ultimately, for our safety and longevity in the sport. So what are these rules of skydiving? At Skydive Carolina, we are a group member of the national organization called, the United States Parachute Association (USPA). That means we need to follow a certain set few rules called the Basic Safety Requirements (BSRs). One such requirement is the skydiving age requirement. The skydiving age requirement stated by USPA for group members is participants must be a minimum of 18 years of age. The skydiving weight requirement is at the discretion of the skydiving center. Each skydiving center has its own limits as it’s all about safety. The components of the tandem skydiving equipment, mainly the parachutes, lines and attachment points, are built within certain specifications to handle the parachute opening. The combination of the weight between you, your and instructor and the gear, determines the total acceptable weight for that equipment. The other component of weight that is considered is how the harness will fit the student, as the harnesses will only adjust to a certain point. 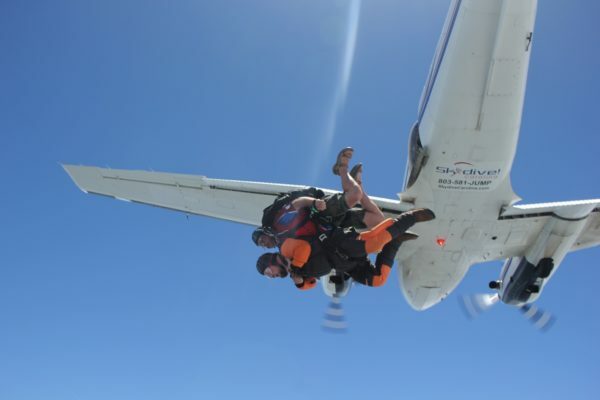 Therefore, at Skydive Carolina, our skydiving weight requirement is 225 pounds (and that includes the clothes on your back, shoes on your feet). The top safety rules of skydiving are a combination from the Federal Aviation Administration (FAA) and USPA. These mostly have to do with the acceptable skydiving weather conditions. Like most rules, these are set for our safety. Hence, if it’s too cloudy, raining, or too windy or turbulent, we’ll be on a weather hold until these conditions improve. Since every skydiving center is a bit different and because of that, has their own set guidelines for jumpers to follow. Some house rules are very serious, such as having all parachutes following the same direction into when landing, called the landing pattern. 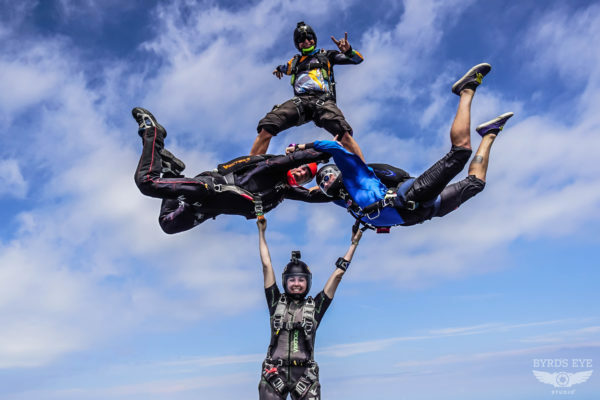 Some rules are a bit more fun, such as, if you make your 100th jump (a big milestone in the sport), you owe beer to celebrate with fellow skydivers. Want to know our favorite rule? This is almost an unspoken rule as it’s base of the culture of skydiving. It’s that every dropzone isn’t a place to bring your work and stress. It’s a place where you set aside those things so you can focus on the task at hand. It’s a place where you can truly live and be in the moment. Skydivers do like to have fun, but most don’t realize how much effort we put into our training, understanding our equipment and learning and adhering to the various rules of skydiving. So as much as we like to have fun, we also do so as safely as possible. Curious about skydiving? Check out our FAQ’s here. Or are you ready to make the leap? 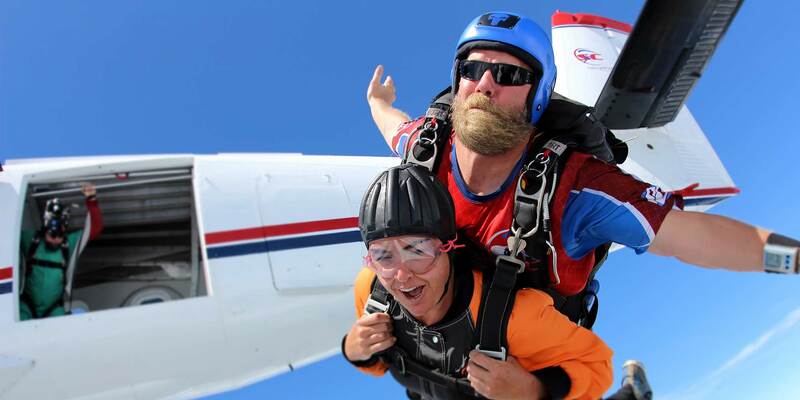 Give us a click or call and we look forward to welcoming you to Skydive Carolina!